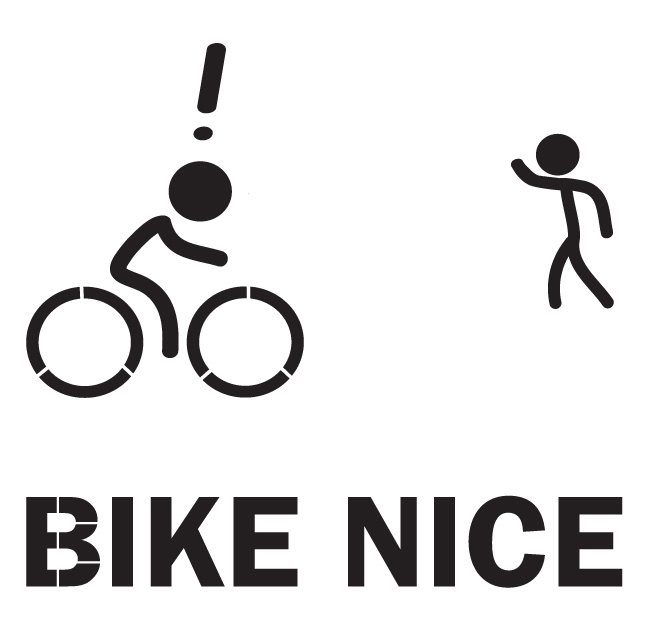 As an addition to the stencil campaign completed in Oct 2012, I have worked with Local Motion to create a “BIKE NICE” stencil for University of Vermont’s campus. The goal of this stencil is to prevent potentially harmful interactions and close calls between cyclists and pedestrians. Application of the stencil is yet to be determined as the entire campus is currently under a bunch of snow, but an illustration of the graphic is featured below.